For the devices, based on the operating system iOS, such as iPhone and iPad, we offer our latest development - an intuitive, reliable and functional trading-analytical platform NetTradeX iOS.Main features of this terminal may be found in NetTradeX iOS user guide. 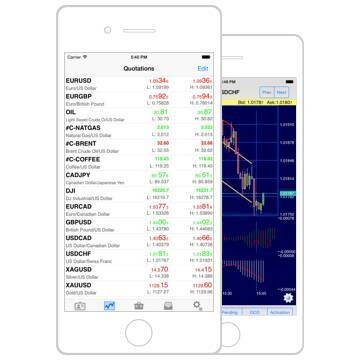 The trading platform is compatible with iPhone, iPod touch and iPad. Requires iOS 5.1.1 or later. Set the icons in the movement mode by pressing and holding one of them and then press delete (the cross) in the corner of the program icon. In addition, using iOS 5.0 and later versions, You can delete programs from Your iPhone menu. Go to Settings -> General -> Usage, then select the program from the list and press Delete App.